Been looking to upgrade your sheets and duvet covers, or just looking for a great gift idea for close friends and family? Casper has recently launched a Bedding Shop, with new sheets, quilts and duvets suitable for all seasons and climates. The San Francisco-headquartered company began in 2014 with the intention of reimagining how the world sleeps and developed a mattress so on point that it sold out on day one. We’ve been fans of Casper ever since we got our hands on a pair of pillows and fitted sheets. They wear really well, soften over time and keep giving us nights of comfy sleeps. Casper sheets are now available in Airy Linen, Weightless Cotton and Cool Supima® in classic whites and greys, calm greens and blues and playful pink. Blue accents on each piece serve as visual cues for an easier time making your bed. 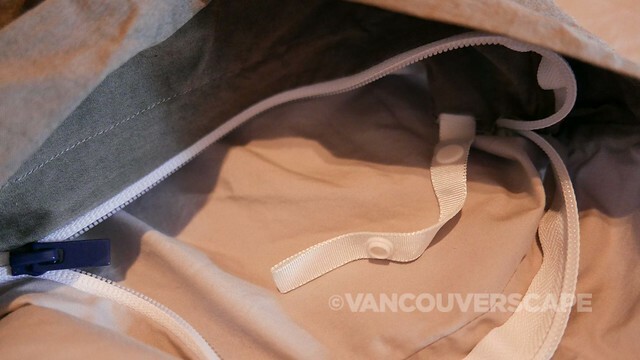 Casper duvet covers have a bottom zipper so you’ll always know the correct orientation when putting it on your duvet. The duvet covers also contain smart little loops with snaps on all four sides so if you own a duvet (Casper or otherwise) with fabric corner loops at each of the bottom corners (I sense a DIY sewing project in my future), just snap them on to prevent the duvet from shifting while you sleep. Genius! 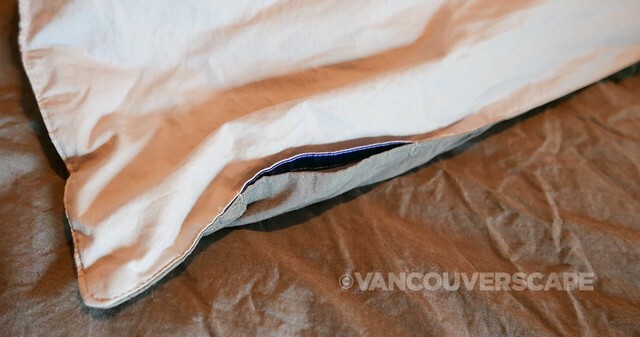 There’s also a pair of hidden openings towards the top of the duvet (with a blue accent) so you can readjust without having to undo the cover. 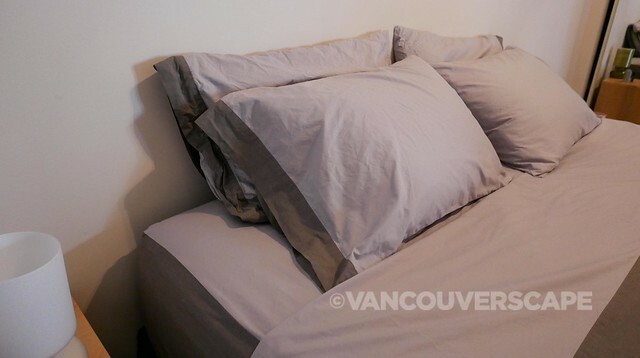 We chose a Cool Supima® sheet set plus two duvet covers. We each own a twin-sized duvet and have long considered it a marriage saver (no tugging during the night!). Our body temperatures differ so we each own a duvet in a different weight too. Our king-sized bed perfectly accommodates two twin duvets. 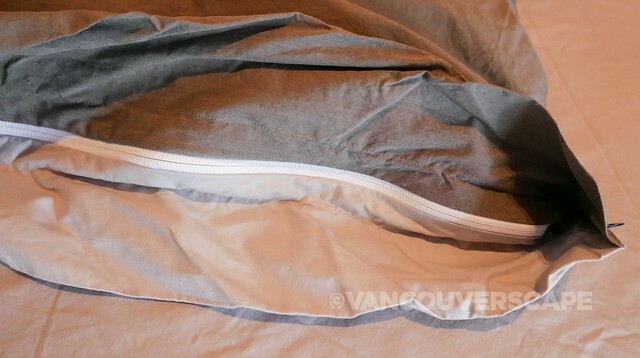 Speaking of duvets, Casper sells two kinds: Down and Humidity Fighting (both styles include those smart corner loops). 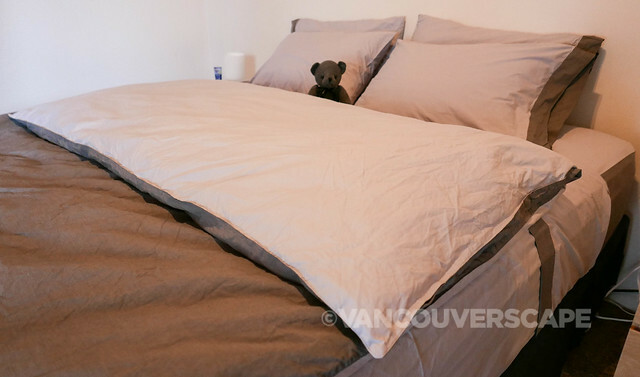 Casper’s coloured duvet covers are also two-sided so we can flip one of them over and be able to tell them apart in the morning when we make up our bed. 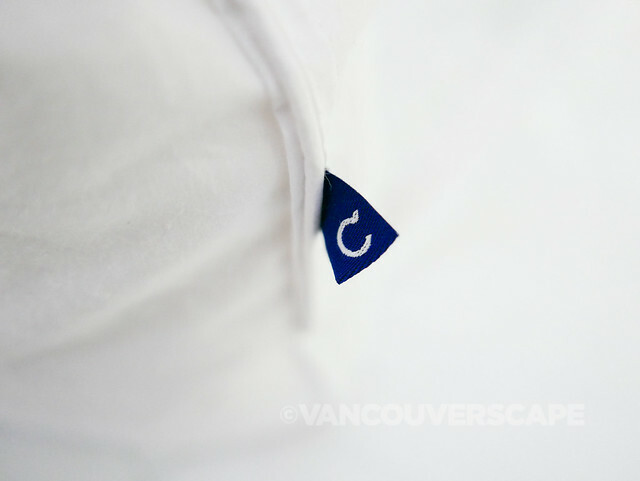 We noticed that the Supima sheets (made with 100% pure California-grown breathable cotton) stay cool throughout the night. Our sheets, pillow cases and duvets are in Gray/Slate, but there’s also White, White/Slate, Navy/Azure, Sky/Azure and Cream colour options to choose from. Casper’s Airy Linen sheets are constructed with 100% garment-grade Belgian flax linen and are pre-washed for broken-in softness. Their Weightless Cotton sheets are made with 100% superfine long-staple cotton and are naturally wrinkle-resistant, so if you’re not into ironing, these may be your go-to sheets. Airy Linen sheets are sold in White, Oat, Mist and Charcoal; Weightless Cotton sheets in White, Quiet Gray, Pink, Mint and Marine. Casper offers free shipping plus a 100-night guarantee so if they’re not to your liking, it’s easy to send back for free (using a prepaid label that can be dropped off at UPS). Ranging in price from $75 to $290, Casper sheet sets include a flat sheet, fitted sheet and pillowcases with an optional duvet cover. In addition to Casper.com and Casper Sleep Shops, these sheets are available for a limited time at Nordstrom.com and Sleep-In@Nordstrom locations across North America.